This Power Weeder of BCS is one of the finest and unique of its kind. 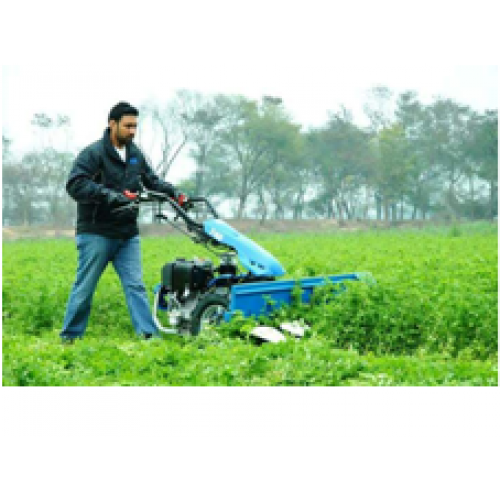 This machine is very accepted by the farmer for its use in inter-culture Operations, Orchards, Vegetable Farming, Wine Yards and Basic Field Preparation especially in hilly areas. Sprayer attachment can also be fitted to the same machine. This extraordinary machine can be used with various agriculture implements like Rotavator, Cultivator, Ridge, Potato digger, Seed Drill, Cutter Bar, Lawn Mover, Snow Thrower etc, that too in variable sizes as per customer requirement.